I have something major to tell you...I moved to New Orleans! I'll tell you more later why I made the move but I'm slowly falling in love with this vivacious and colorful Crescent City. I need some creative homies to hang out with so if anyone is around here, hit me up if you wanna grab coffee or ice cream! Now that I have a totally new space to decorate, I've been digging around for inspiration. I spent all day yesterday finding amazing vintage stuff on Chairish. 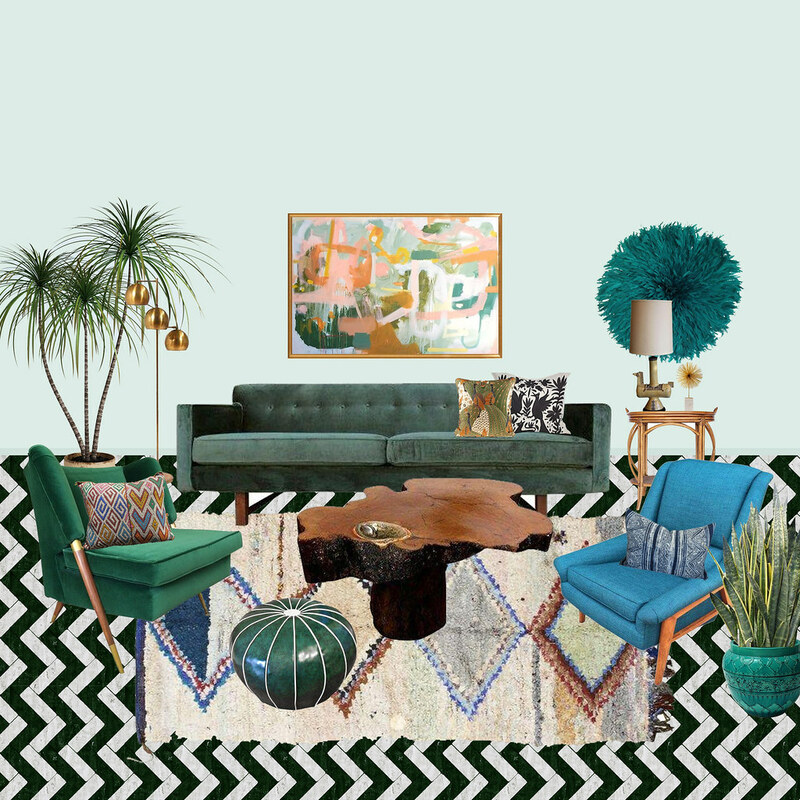 I'm obsessed with velvet right now so when I found that emerald velvet chair and mid-century green velvet sofa, I decided to create a crescent-jade color mood board around them. And one can only dream about having emerald chevron marble tile floors. I could totally knock back a few old fashioned and then take a nap here. Check out my other favorite vintage finds. This post is in partnership with Chairish. Sweet thanks!